Indulge with seasonal, innovative cuisine. Known for its diverse array of cafes, restaurants and bars, Wellington has developed a reputation for world-class innovative cuisine. 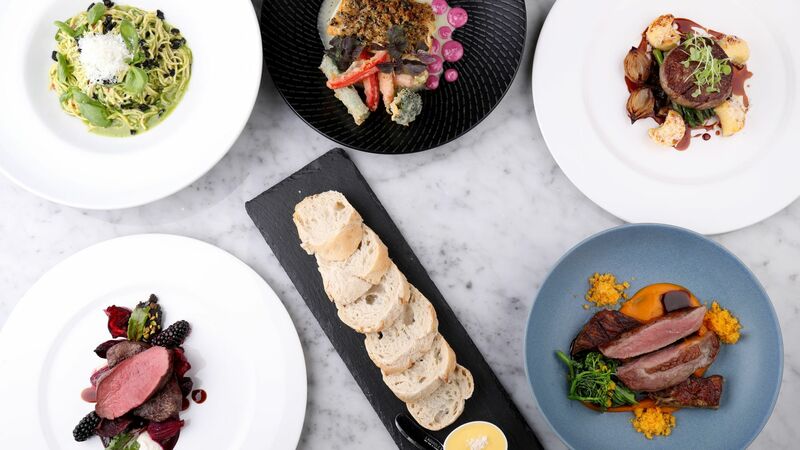 Consistently well regarded Chameleon Restaurant, located on the hotel's ground floor, offers exceptional service and a seasonal menu which highlights fine local produce and iconic international flavours. Savour the freshest produce with the collection of innovative dishes at Chameleon Restaurant. Set in comfortable surroundings the knowledgeable service team will ensure your experience is enriching and truly memorable. The Indulgent Delicacies package offers luxurious overnight accommodation, a three course dinner for two in Chameleon Restaurant and a bottle of Veuve Clicquot Champagne; one of the world’s oldest and most recognised Champagnes. Awake rejuvenated before indulging with a full buffet breakfast. Click the 'Book Now' button below, select your preferred night and choose the room type you wish to indulge in during your sojourn of culinary indulgence. *Terms and Conditions: Guests must dine from seasonal dinner menu, and book a minimum of two days in advance. Package is subject to availability, Blackout dates apply. Buffet breakfast is included for two people per day. Up to 3.0% credit card merchant service fee applies. Veuve Clicquot 750ml cannot be exchanged or refunded for cash.